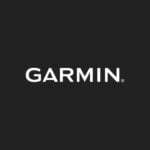 This free service complements the myriad of mapping products already offered for Garmin devices, including City Navigator NT for turn-by-turn directions on city streets, Blue Chart g2, for marine charting, and TOPO U.S. 24K and 100K map software for incredible terrain detail (each sold separately). Before you begin converting your existing maps to Custom Maps, be sure to install the latest software for your Oregon, Dakota or Colorado. 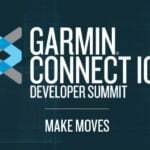 Connect your outdoor handheld via USB and visit http://my.garmin.com for the fast and free software update. Once software has been updated, the simple steps can begin. The first step to creating Custom Maps is to save your existing map in JPG format, either by scanning a paper map or converting a digital file. The second step is to georeference your new map image, which can be done easily by using Google Earth to line up key landmarks with those depicted on the map. 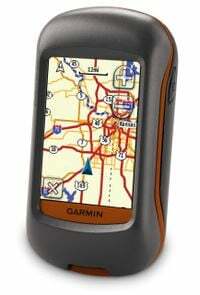 The final step is to save your Custom Maps to your Garmin device and you’re ready to go explore. 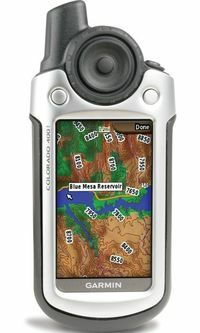 To see these steps in further detail, to find and share maps with other users and to join discussions about Garmin Custom Maps, visit www.garmin.com/CustomMaps. Custom Maps should only be created from maps that are in the public domain, for which you hold the copyright, or that you have permission to use from the copyright holder. The original map’s accuracy in scale and illustration is also an important factor in creating quality Custom Maps. The power of Custom Maps is exemplified through paper and digital maps labeled for specific events and purposes, such as a college graduation invitation that lists campus building names and locations; a roadmap of a parade, marathon, 5K or bike race; a pamphlet for a nearby park that lists trailheads; or a historic illustration of an area as it once stood, allowing you to bridge generations through existing locations and imagination. Give it a try today!